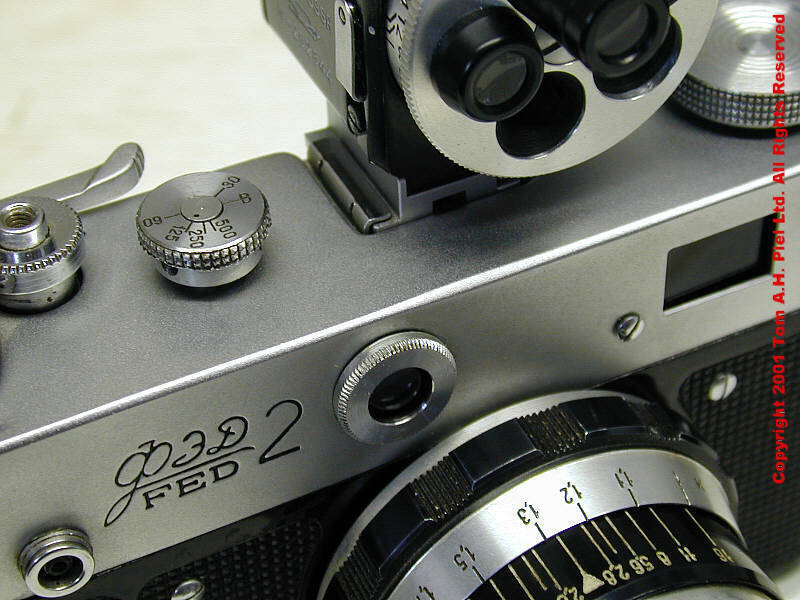 The FED 2 type E is sometimes also known as the Fed 2LD. The camera was built between 1969 - 1970. "Designer R.M. Belenki and N.N. Pilipenko. 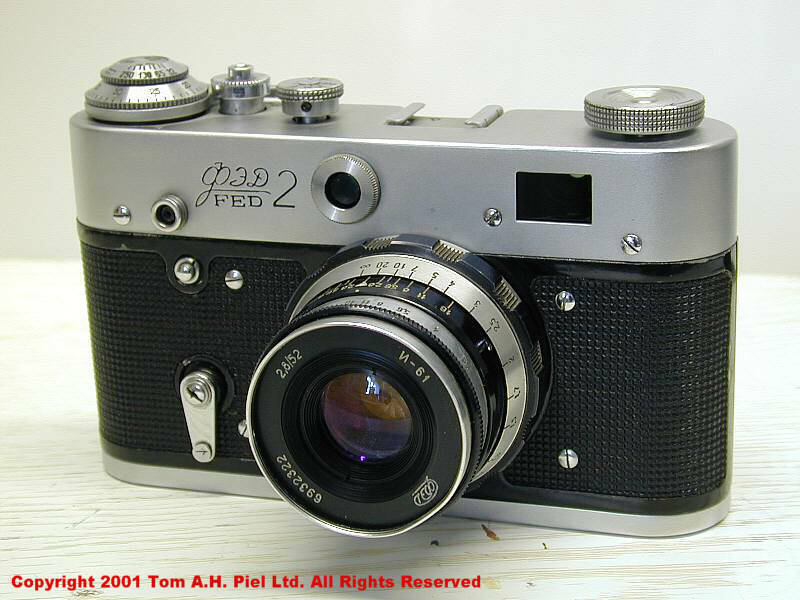 with the FED-2 type-d shutter. No strap rings. 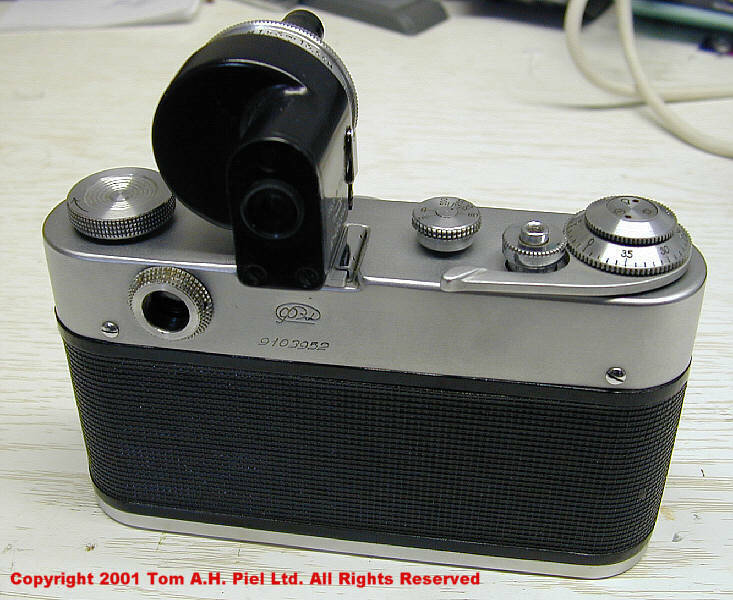 This seems to be a rare camera. I haven't seen it on Ebay, then again I'm only following Ebay for about a year now. The lens is a Industar N61. This lens has lanthane glas elements hence the L mentioned in "Russian and Soviet Cameras". In some case this is also mentioned on the box it came with or on the camera itself. How many are produced is not known. I've heard numbers from 10.000 up to around 50.000. Speeds on the camera are, B, 1/30, 1/60, 1/125, 1/250 and 1/500. 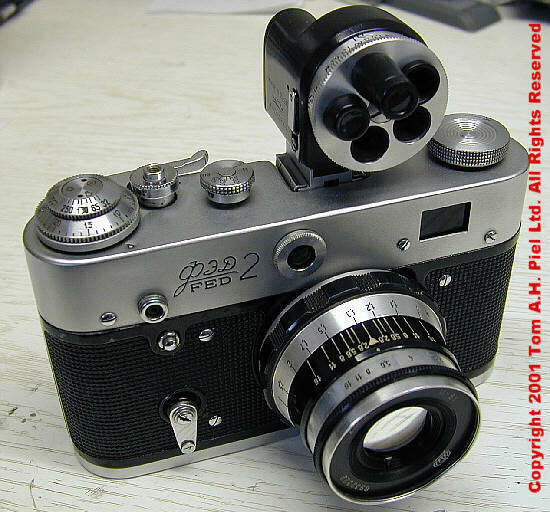 The same as on the Zenit-E. Shutter is a cloth shutter and the camera has a removable back. There is no lightmeter but it has a dioptre setting. It has the "rapid film advance level" instead of the "film advance turnknob". And it has a thread for a remote shutter. It handles a bit better and "nicer" if you will then my Zorki 4K. The viewfinder is nice and bright and the round yellow focussing is brighter then on my Zorki 4K. But the Zorki 4K, in it's defence, has more shutterspeeds and is a good handler also. And film loading on the 4K is easier then on the FED 2e.